The Honorary Consulate General in the historic southern Indian city facilitates trade, cooperation agreement with Russian regions and also provides emergency assistance to Russian citizens in Andhra Pradesh. Looking to reach out to the rapidly developing states of the region, the Russian Government decided to step up its diplomatic engagement with southern India over the last few years. A consulate serving the peninsular Indian states existed in Chennai right from the Soviet day, as did a cultural centre in Kerala’s capital city of Thiruvanathapuram (formerly Trivandrum). 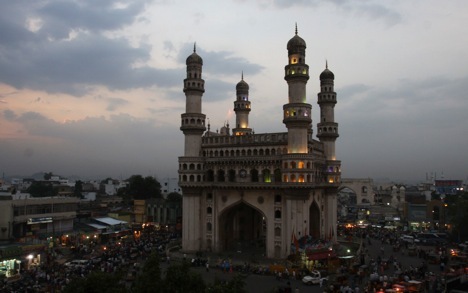 In 2008, the Russian Government opened an honorary consulate general in the historic city of Hyderabad. Peter Hassan, an advisor to the Andhra Pradesh government was named the Honorary Consul. The consulate organises official meetings between Indo-Russian joint ventures and Indian business bodies. It also advises the business community about investment opportunities in Russia. The honorary consulate facilitated discussions that led to a cooperation agreement between the Andhra Pradesh and the Russian republic of Tatarstan, according to Dr. Y.S. Raja Kumari, who serves as Advisor (Trade & Culture) to the consul. Besides facilitating trade, the honorary consulate also provides full-fledged assistance to Russian citizens after receiving a request from a proper Russian channel. A large number of Russians visiting the state go to the home of the late-Satya Sai Baba. “Russians often go to the town of Puttaparthi for pilgrimage, and some of them stay longer than their visa permits, they get arrested and detained. We talk to them and help them find lawyers,” says Raja Kumari.